As you’ve probably figured out, I’m always looking to learn new skills. Recently, I had a chance to take an embroidery class. 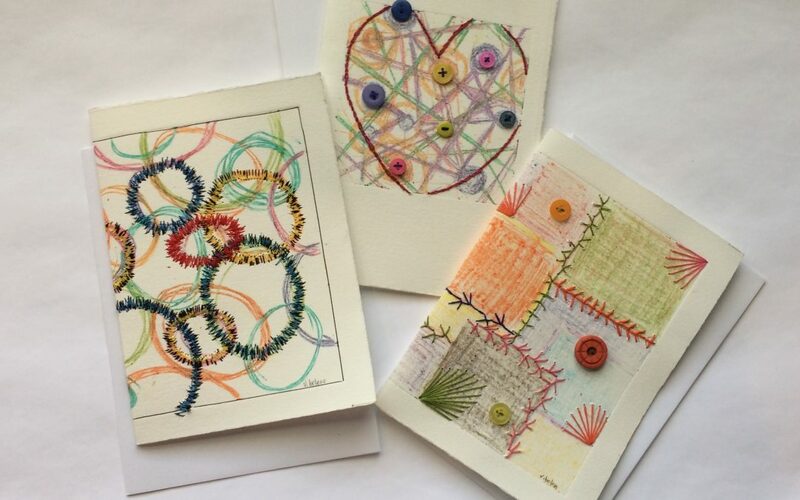 I immediately began using what I learned on my cards and in my 2D art. I have been embellishing both with machine embroidery for a quite some time, but I really like the look of hand embroidery and the buttons I can use when sewing by hand. 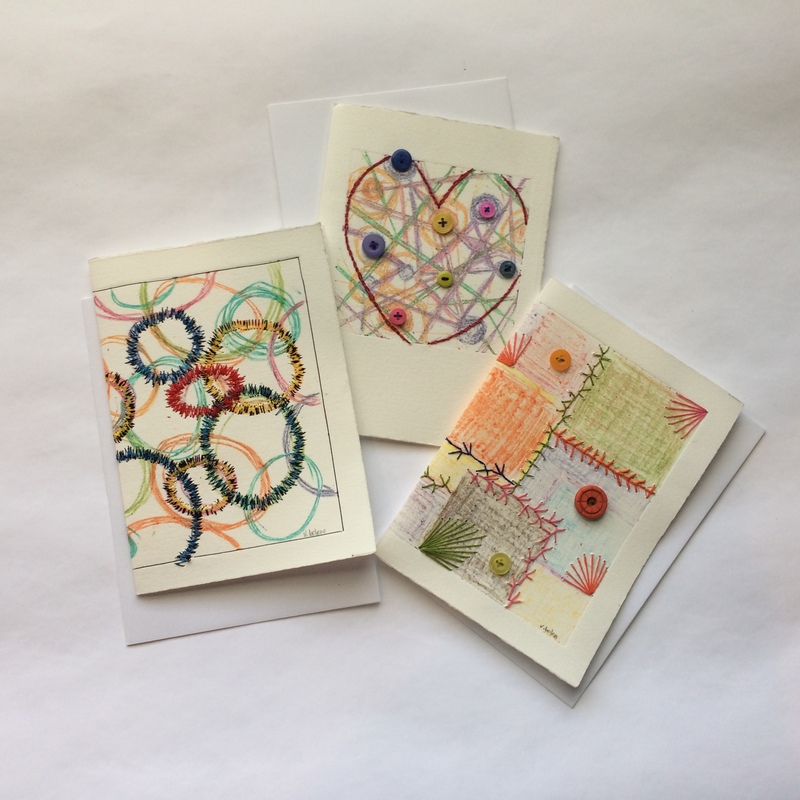 New cards featuring hand and machine embroidery. For now, these new cards are only available at art shows. My next art show is in Chattanooga, TN. My extensive inventory of handcrafted cards featuring Japanese paper art, including origami, are available in my Etsy store at http://etsy.me/1Rstxfo. Visit Little Bird de Papel online!